Connelly Law Offices is an acclaimed litigation practice representing families and individuals who have been injured or whose rights have been violated. Our attorneys thrive on challenging legal issues and represent the unheard by giving them a voice. Our goal is to expose truth and ensure that corporate or governmental entities remain accountable and are not successful in concealing issues of negligence or misconduct. We work to hold the insurance industry responsible, to make sure that insurers abide by their contracts of insurance, and that they do not take advantage of those they commit to insuring. Our attorneys go the extra mile, taking on cases that loudly demand justice. We thrive on challenging legal issues, using the legal process to hold government and corporate entities accountable to the citizens they serve. Justice is not always the easy fight, but it is the pursuit of earned justice that motivates our attorneys. Holding those who seriously harm or injure others accountable constitutes a fundamental pillar of our civil justice system. The Connelly Law Offices strive to sustain the integrity of our legal system, reinforcing the laws which hold public servants, corporations and other tortfeasors accountable for their actions. All citizens are entitled to representation and protection under Washington and federal law. Despite this, individuals without the capital to pay expensive attorney's fees still feel as though they are unable to legally challenge better funded offenders. This is not the case. Connelly Law Offices handle many cases on contingency fees which allow access to the Courtroom. Connelly Law is founded on the principles of truth, justice, accountability, and equal access. Our success is a result of the firm's commitment to these guiding principles. Connelly Law Offices nurture their partnership with the community by taking on challenging cases that impact our society in diverse and progressive ways. We handle cases that make a difference – not only for the people involved but for our community and society as a whole. 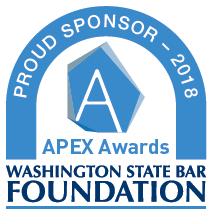 Far more than the size of awards, it is the potential to create meaningful change through the legal process and obtain justice for clients that motivates our attorneys. We approach each case with tenacity and remain dedicated to serving our clients through difficult legal battles. Connelly Law Offices - founded on the principles of truth, justice, accountability, and equal access. Our success has been the result of each attorney and staff member’s commitment to these guiding principles. The Connelly Law Offices nurture their partnership with the community by taking on challenging cases that impact our society in diverse and progressive ways. We handle cases that make a difference – not only for the people involved but for our community and society as a whole. Members of our firm engage in cases involving serious brain and spinal cord injuries, medical negligence, and claims against the government throughout Washington. Far more than the size of awards, it is the potential to create meaningful change through the legal process and obtain justice for clients that motivates our attorneys. We approach each case with tenacity and remain dedicated to serving our clients through difficult legal battles. Our goal is to expose truth and ensure that corporate or governmental entities remain accountable and are not successful in concealing issues of negligence or misconduct. Connelly Law Offices has been contacted by and represents a number of patients exposed to the Hepatitis C outbreak at Good Samaritan Hospital in Puyallup. If you have questions, concerns, or were affected by the outbreak, please contact our office at (253) 593-5100. As seasoned trial lawyers with significant experience inside the courtroom and a reputation for aggressive litigation skills, our attorneys offer you and your firm assistance on difficult cases. Trying tough cases is our forte, ranging from complex brain and spinal cord injuries to large negligence claims against the state. Connelly Law has resources and infrastructure to take on big cases against better funded adversaries, and the expertise to achieve significant verdicts, no matter the magnitude or complexity of the case. If you would like to associate with Connelly Law Offices on a particular case, or would like to discuss arrangements for possible future business, please contact us: 253-593-5100, or send us a message.